Traditional engagement surveys can give employers insight into workforce motivation, but do they provide a true picture of how employees feel and how that affects revenue and productivity? 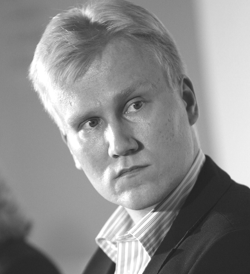 Juha Huttunen, CEO of VibeCatch, explains the benefits of a more holistic and scientific approach to engagement. Organisations have been conducting employee surveys for around 100 years – recently through their HR departments, but before that via operational research groups. These surveys have tended to follow an accepted design; they ask a set of questions, perhaps five or more, to create an engagement index. They then ask more questions to identify factors behind that level of engagement. So what are the weaknesses of these traditional surveys? Most tend to be annual (or at most, quarterly) in nature – does this mean they merely record a snapshot of sentiment on a particular day of the year, rather than revealing the real mood? Are unhappy employees over-represented among their respondents, giving a distorted view, or do those who are too polite to reveal what they really think dominate? According to Professor Marko Kesti of Lapland University of Applied Science, traditional surveys overvalue factors related to satisfaction, leading to very high scores and no valuable improvement ideas. Answers from many people can be misleading. Even asking them a basic question – like “how busy/overworked do you feel?” – is not guaranteed to reveal an accurate answer. For all these reasons, it’s not surprising that “old school” engagement surveys are increasingly being seen as sub-standard. If they can’t tell the business anything useful, why does HR bother with them? At a time when businesses need all the intelligence they can get about their talent, it’s clear that something different is needed. Pulse surveys and sentiment analysis have both been highlighted as the saviours of engagement surveys. More regular staff pulse surveys not only attempt to understand how pockets of people feel, but by adding sentiment analysis, they take all the legwork out of getting to what’s really on people’s minds. Both of these will undoubtedly add to an engagement survey’s accuracy, but the fact is the insights they produce can still run the very real risk of over-simplified analysis. This can be harmful for an organisation’s future performance. Something needs to change. Most engagement surveys don’t pay attention to the fact there are things that cause satisfaction and there are separate things that cause dissatisfaction. They are largely independent of each other. This theory was first popularised by psychologist Frederick Herzberg who found that the factors deemed to create satisfaction at work (intrinsic interest, achievement, advancement) were uni-polar – meaning they have hardly any link to those that cause dissatisfaction. Dissatisfying elements, such as pay, admin and working culture, were also deemed to contribute little to satisfaction. In other words, reducing dissatisfaction requires a focus on the job environment; in order to boost satisfaction, managers need to change the nature of the work itself. Surveys that fail to appreciate this will not yield accurate results. By contrast, VibeCatch’s Quality of Work Life (QWL) index, developed by applying this motivation theory, examines five specific categories: leadership, culture, skills, line management and processes. It also looks at the way each category impacts the other. The result, which is scientifically proven, is one where a much truer picture of engagement and performance can be gained. Leadership, for example, can impact line management significantly. Not only is it more accurate, it can create real insights and return on investment. Instead of using an average score, QWL results can easily reveal precise areas (such as physical and emotional wellbeing) where there is room for improvement and, therefore, real productivity gains can be made. Traditional surveys hide this by aggregating important data together, and masking the real opportunities for creating improvements. With each 1% improvement in engagement, the QWL index can show a precise EBITDA (earnings before interest, taxes, depreciation and amortization) increase per full-time employee. QWL as a concept explores the methods in which an organisation can ensure the holistic wellbeing of an employee instead of just focusing on work-related aspects – an approach not even considered in historical employee surveys. Are we measuring engagement so that if we improve we will improve productivity as well? Can we estimate by how much productivity improves if our engagement score improves by 1%? After all, saying that engagement has improved by 12% isn’t really going to excite senior management – knowing about productivity and financial gains, however, is much more likely to get their attention. 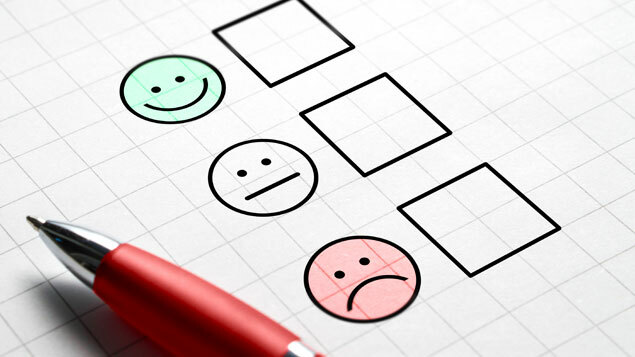 Engagement surveys need to bring real science to human behaviour and demonstrate clear links to business benefits – otherwise they will remain a nice to have, without adding any tangible business value. CEO at employee engagement platform VibeCatch.